Mozilla has lashed out at Microsoft for restrictions within the Windows 8 RT operating system that make it impossible for Firefox to compete with Internet Explorer on the platform. 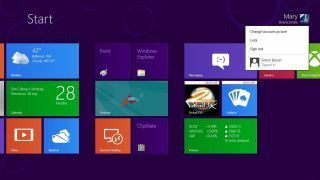 Microsoft has denied the APIs essential for building a modern browser to third-party developers like Google and Mozilla and, as a result, there will be no version of Firefox for the Windows 8 RT platform. Harvey Anderson, of the Mozilla General Counsel, blogs that this bias towards Microsoft's own browser harks back to the days when users had little choice over software. He wrote: "Unfortunately, the upcoming release of Windows for the ARM processor architecture and Microsoft's browser practices regarding Windows 8 Metro signal an unwelcome return to the digital dark ages where users and developers didn't have browser choices." Anderson went on to say: "Windows on ARM prohibits any browser except for Internet Explorer from running in the privileged "Windows Classic" environment. "In practice, this means that only Internet Explorer will be able to perform many of the advanced computing functions vital to modern browsers in terms of speed, stability, and security to which users have grown accustomed. "Given that IE can run in Windows on ARM, there is no technical reason to conclude other browsers can't do the same." Anderson reckons Microsoft's move could be the start of a new era where it seeks to lock-up its operating system and sidestep anti-competition rulings previously brought against it.. He urged the company to stick to its own principles and treat third-party developers fairly.